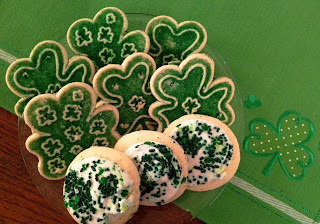 ©Laurel Delaney 2012, "St. Patty's Day Cookies"
My favorite day of the year: St. Patrick's Day. Even if you are not Irish, pretend you are. No one will know the difference and you will be all the more happy for the stretch! Wish I could say I made these sweets. Didn't. Photographed them though. Enjoy and Happy St. Patrick's Day! I enjoy working with clients from all over the (English speaking) world. But my Irish clients are some of the most jolly! Here's to another lucky year!